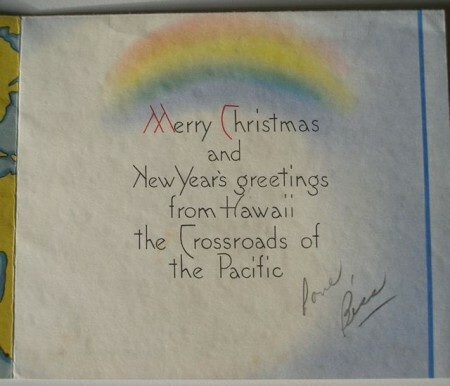 This old Christmas Card is addressed to my Aunt Gloria. 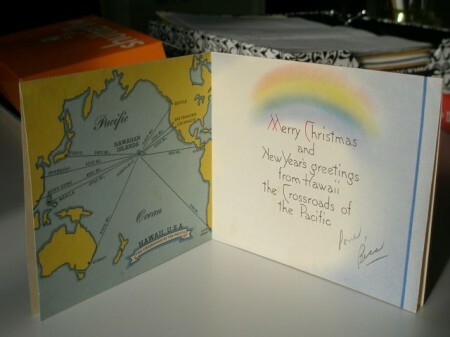 Inside is a fabulous Christmas card from Hawaii. 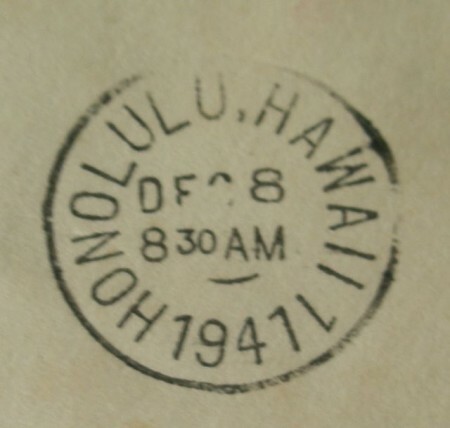 It took two 1¢ stamps to send it to the “states” from Honolulu. 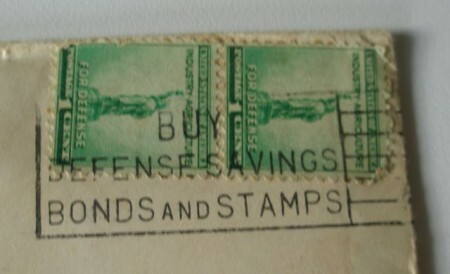 The post mark is encouraging people to buy defense savings bonds and stamps. 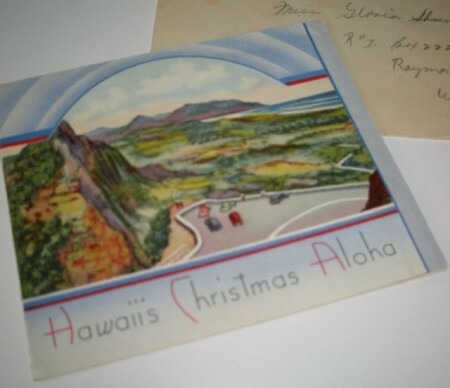 You see, it was postmarked the day after Pearl Harbor was attacked–December 8, 1941. 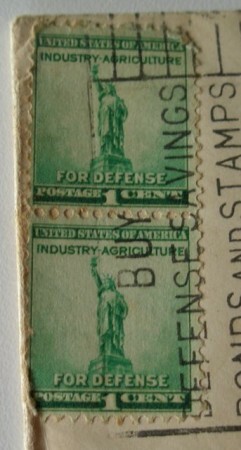 The post mark is at 8:30 in the morning. I’m amazed the post office was even functioning after the chaos of the day before. 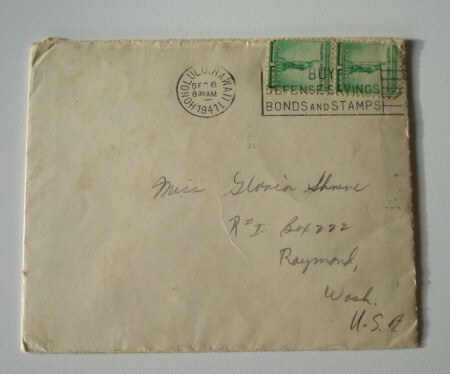 It was sent to my aunt by her boyfriend, Bethel Nichols. Bethel must have mailed it late Saturday, perhaps one of the last things he did. 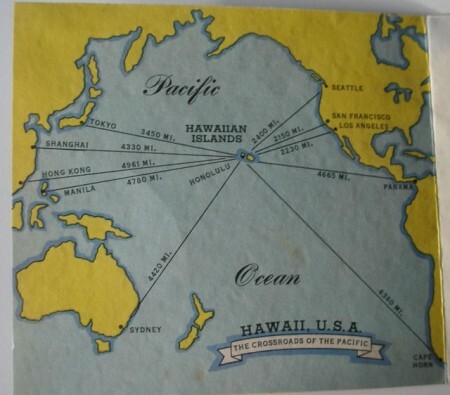 He was killed on the USS Arizona on December 7th.